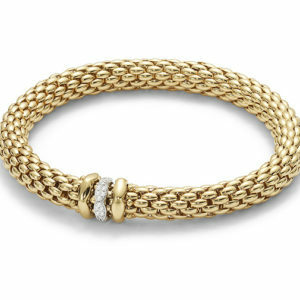 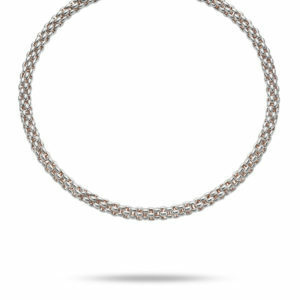 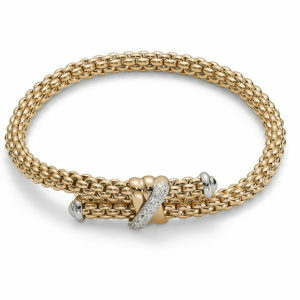 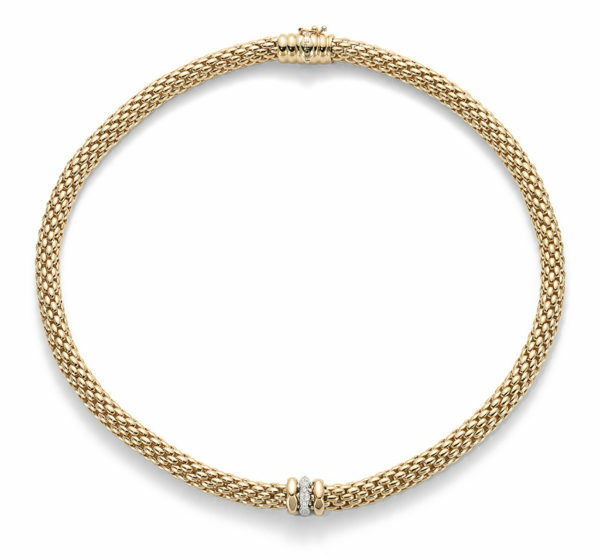 This beautifully crafted Italian necklet is created with 18ct gold links. 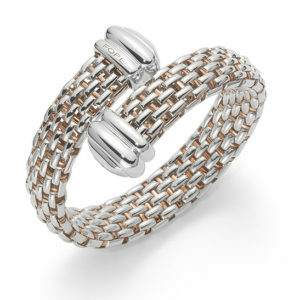 Also featuring white diamonds set in 18ct white gold, this piece has the perfect amount of sparkle! 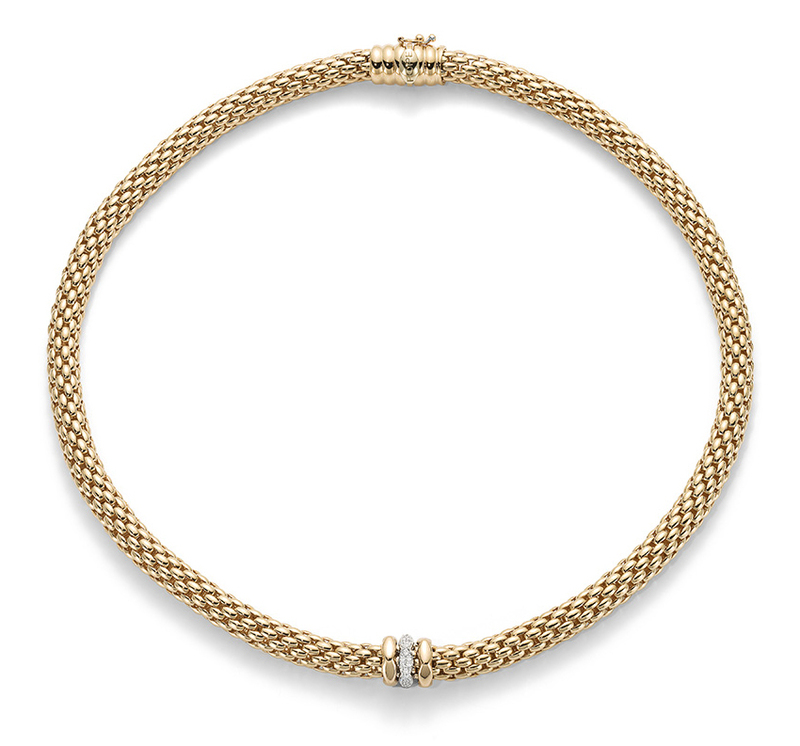 This necklet is 43cm long.